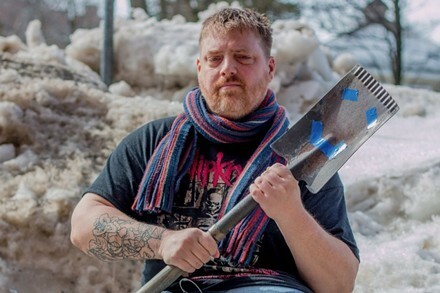 Activist Paul Vienneau says legislation originally ignored social cost of not including those with disabilities. 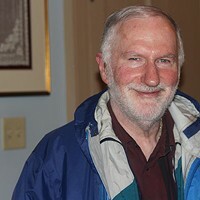 Paul Vienneau says the legislation needs to focus more on human rights and less on economics. The province is amending its Accessibility Act after receiving criticism from advocates and Nova Scotians with disabilities. 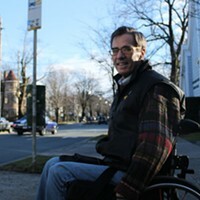 The legislation is supposed to fulfill a promise made by the Liberal government “ensuring that all Nova Scotians have the ability to participate fully in their communities.” But when the act was brought forward, some people in the accessibility community felt it didn’t address their needs. Vienneau feels business-owners, on the other hand, were taken too strongly into account. In early November, critics of the legislation (including Vienneau) appeared before a Law Amendments Committee meeting to voice their concerns. But even that was meeting was scheduled on short notice, says Vienneau, which was particularly inconvenient for those with mobility issues. But it appears those who did show up had their voices heard. Community Services minister Joanne Bernard says she’s heard from people who are happy with the act as it is, but she agrees it needs to be fine-tuned. For instance, it needs to be looked at through a social lens as well as an economic one. On Wednesday, Bernard announced the accessibility legislation is being moved to the Justice department. Vienneau feels the legislation belongs there—just as “anybody else’s human rights” would be. Bernard says Community Services will make sure to let people know about the next meeting well in advance. That's currently expected to happen in the new year. 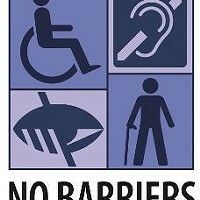 Nova Scotia is the third province working on accessibility standards, with the others being Ontario and Manitoba. The federal minister of Sport and Persons with Disabilities, Carla Qualtrough, will be in Halifax next week to consult with community members on national accessibility legislation. As for Nova Scotia's legislation, Vienneau is feeling optimistic. “This is such a huge set of doors that are gonna open to let people who’ve been historically denied access to a lot of things…to finally start pursuing what they want to pursue,” he says. 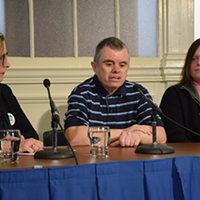 Clumping together barriers and denying accessibility was a recurring criticism last week during public hearings at Province House. This week's winter storm delays public hearings on Accessibility Act, but even when it's finally enacted will it be too little, too late? 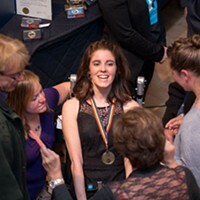 Bluenose-Ability Film Festival, highlighting filmmakers living with disabilities, enters second year. Even Access-a-Bus isn’t so accessible. Petition calls for detailed platforms to remove impediments.